3/32" axle x 1 3/16" x .700 wd. Made custom for 1/24 Scale Drag Slot Cars. 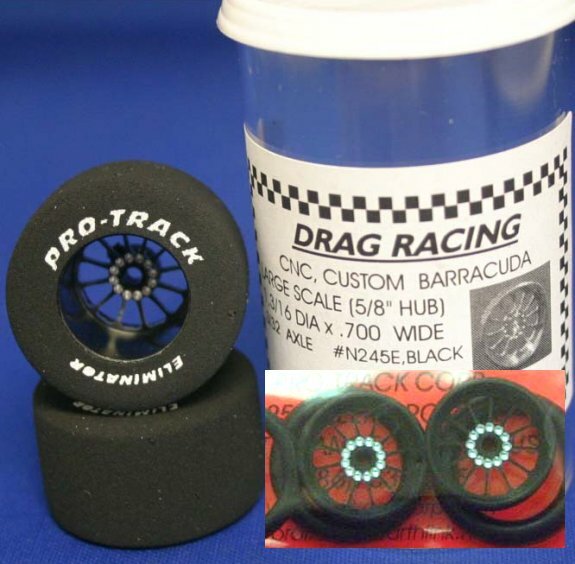 Barracuda Drag Slot Car Tire made from Natural rubber! Each pair of these custom made rear tires are hand made to exact tolerances. Will work well from 16D to Gr. 20 motors.